From Banpresto. 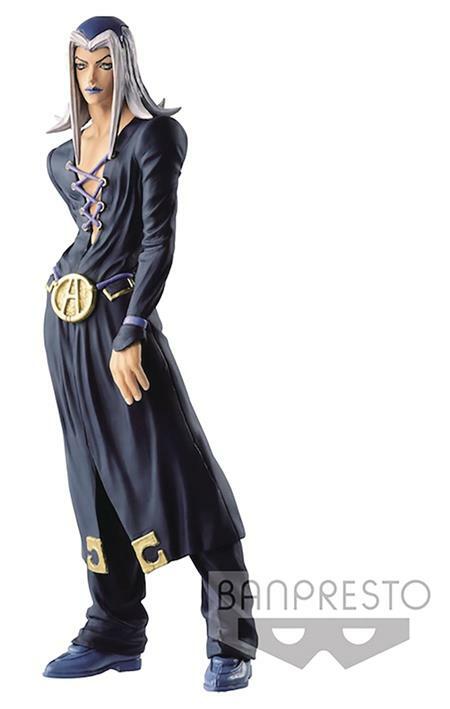 Ex-cop Leone Abbacchio brings his top investigating skills and general fabulosity to Banpresto's JoJo's Bizarre Adventure figure collection! Featuring Leone standing 8 3/4' tall, the beautifully sculpted figurine perfectly captures his unique appearance from the flow of his hair to the iconic gold belt around his waist.